I am in the market for a new watch and, although I am a slow mover, have narrowed down the candidates to the best replica Seiko Titanium Snowflake and the Jaeger-LeCoultre Geophysic True Second SS. I am having some difficulty deciding which to purchase, and was hoping to gain a little insight. I concede that any answers to my questions may be highly subjective. Nonetheless, I would value your input: what aspects about a watch make you not only admire it, but ultimately own, wear, and (hopefully) enjoy it for many years? Additionally, have you purchased a watch that you no longer wear, and if so, why do you eschew wearing it? I’ve purchased very few watches that I no longer wear at all; my habit is to choose a watch rarely but extremely carefully these days, as I increasingly value the diminishing time I expect to spend on this benighted ball of dirt known as Planet Earth. You, however, are less interested in the angst of an aging horological addict than in gaining insight into the Snowflake vs. True Second conundrum. 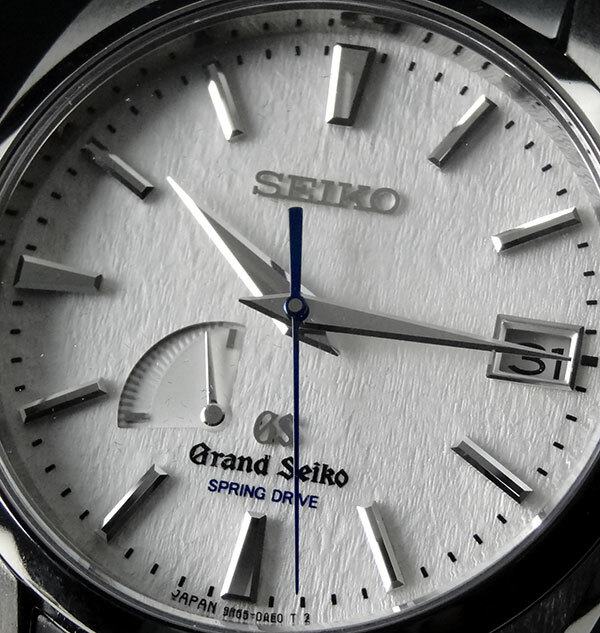 To be quite honest, nowadays I am generally in favor of luxury replica Grand Seiko but in this case I think there is reason to prefer the Geophysic, an almost perversely well thought out watch. It takes a certain go-to-hell stubbornness to put a dead beat seconds complication in a watch priced to appeal to a public that will, as a rule, have no notion of what the complication means and for that, I think, Jaeger LeCoultre should be rewarded with at least a moderate trickle of gold. I am interested to hear your opinion on the Parmigiani Kalpa (the Grande with the silver-blue dial and the Hebdomadaire with the best replica Seiko Naples yellow dial). I have an opportunity to buy them new with boxes and papers at really attractive prices from one shady local seller. Are they good watches? The movements seem high quality and they come with Hermes straps. I know the design is not for everyone, but that is not a bad thing, in my view. Parmigiani Fleurier is, for lack of a better way to phrase it, weird. They have in Michel Parmigiani one of the greatest experts alive in restoration and complications; they have the incredible financial resources of the Sandoz Family Foundation behind them; they have major manufacturing centers all over the Jura massif that supply not only their own watches but those of many others in the industry (including the creation of hairsprings at Atokalpa) and on and on. And yet they manage to project a spirit of almost vapid complacency about their own watches and watchmaking in general that is difficult to understand. They are perhaps quintessentially Swiss in not understanding that you have to be at least a little bit excited about watches to buy a watch, but for all that, they still consistently commit the one unforgivable sin in making luxury watches: they are boring. Aside from a general disinterest in their designs I can find nothing really fundamentally wrong with them, but if they were the last haute horologerie maker on earth I wouldn’t want to own their (admittedly very high quality) watches; I’d go in for beekeeping or something. I’m getting a Submariner. Since it’s such a classic design icon and such a classic horological crush, I need to live it in the metal to either fall in love with it or just get over it and move on. Pre-owned 1999, A-series, 16610 (authenticity certified by local AD) or new 116610LN? This is a somewhat late answer to a question posed in March that I just happened across, and I’m answering it because it is one of ever-green interest. In the case of the Submariner Date, our querent is asking which is to be preferred: a vintage (well, slightly vintage) Submariner Date with metal bezel, or one of the new chaps, with a ceramic bezel. The question is one of whether you want to make a rational or an irrational choice and you may end up regretting either, depending on your disposition. Let us dispose of the former by saying immediately that the more recent model is simply a technically superior watch. Ceramic’s ability to withstand the corrosive effects of seawater, plus the technical superiority of the newer movement, make it the watch to be preferred if you want the most technically advanced Submariner. 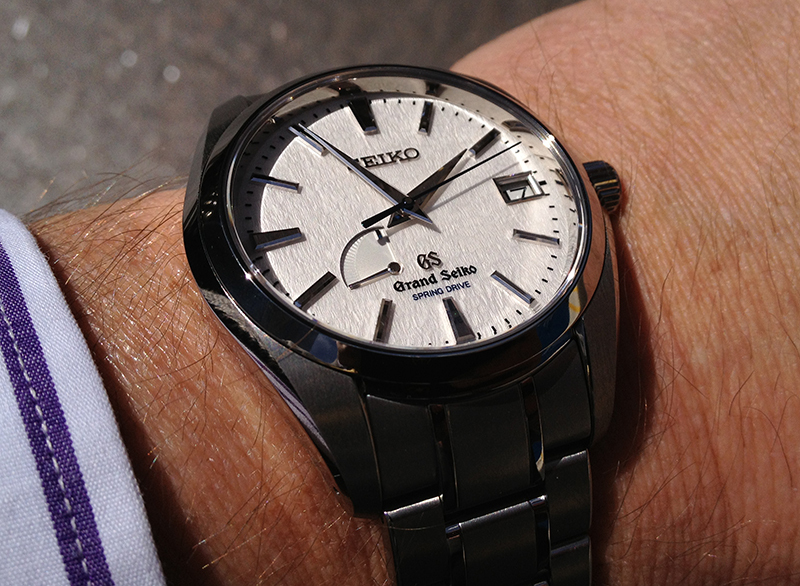 However, and this is the rub, the metal bezel version is far more charming. It has a back-to-basics stolidity that may not stand wear and tear quite as well, but may very well stand the test of time on your wrist far better, than the modern version, with its almost forbidding perfection. There is something impressive about the resistance to the slings and arrows of outrageous fortune of a ceramic bezel; there is also something marmoreal, something funereal about it as well. Nowadays if I’m going to wear a watch, I’d rather it show some signs of wear and tear, like its master.